Following the completion of a significant demolition programme, construction has now commenced for the 1.7 million sq ft Edinburgh St James development – marking a major new phase in the regeneration of the east end of Edinburgh. Four tower cranes have arrived on site in recent months, including one of the largest tower cranes in Europe. Led by the project’s main contractor Laing O’Rourke, the construction process will see 200,000 tonnes of reinforced concrete being used to build the development, with over 5,000 workers on site throughout the duration of the build. 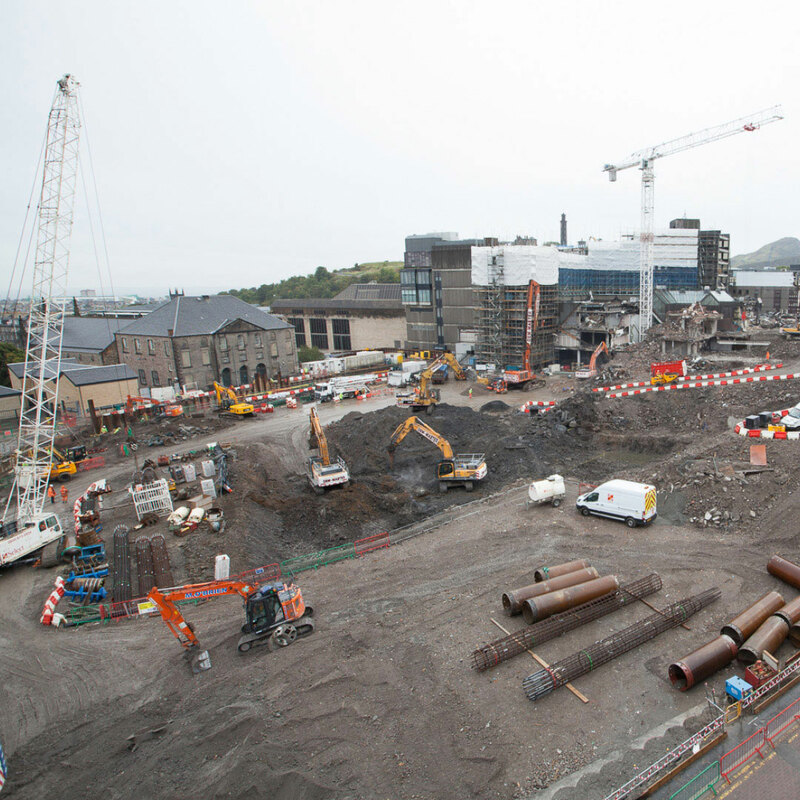 Opening to the public in 2020, the mixed-use scheme in the heart of Edinburgh is one of the largest and most significant regeneration projects currently underway in the UK. Comprising 850,000 sq ft of retail space, including 85 new shops and 32 food and beverage units, an Everyman Cinema, up to 150 new homes, a five-star luxury W Hotel, a Roomzzz Aparthotel and three new public squares, Edinburgh St James is set to revolutionise and regenerate the city’s East End. The news coincides with a number of important milestones from the project’s sustainability programme, as part of the project’s ongoing commitment to the wider Edinburgh community, economy and environment; 79 percent of people inducted on the project live in the local area 60 percent of construction value has been sourced locally, and 98 percent of non-hazardous construction waste diverted from landfill. The team has also undertaken over 480 hours of volunteering on local curriculum engagement activities and community engagement and supported over 230 days of work experience and pre-employment opportunities – reaching almost half of the agreed target of 500 days.